As a little girl standing before a mirror wielding a hairbrush as a microphone, Blanca Elaine Callahan, known to us today as the superstar Blanca, didn’t know what was going to come of her passion for music. Growing up with divorced parents, with issues of insecurity and a lack of confidence cast doubt upon her dreams. It wasn’t until her dad came back into her life asking for forgiveness as a newfound follower of Christ that her life began to change. “My dad’s testimony was huge,” Blanca said. “God was in every detail.” Her father became a Christian salsa singer and spurred her musical ambitions. At 17, Blanca began a relationship with God and started singing professionally at Disney World in her home city of Orlando before joining a small group of musicians at her church. 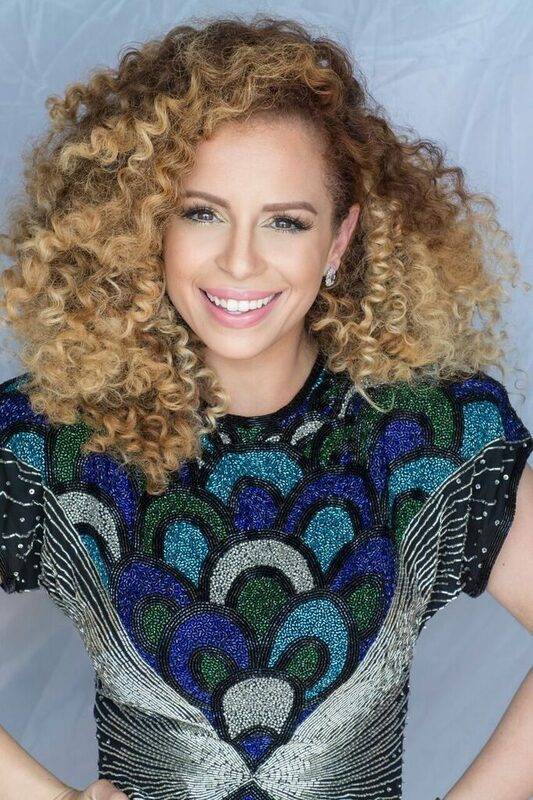 She became the founding member of the band ‘Group 1 Crew’ with Manwell Reyes and Pablo Villatoro, performing as the lead singer for almost ten years. During that time, she met and married Ben Callahan, the former Group 1 Crew drummer. The couple’s son, London, was born in 2013. That same year, Blanca stepped out in faith to begin her solo career. Blanca has quickly become a standout solo artist with the debut of her self-titled album, Blanca. She’s entered the Top 10 on Billboard’s Christian Albums chart, with her single, “Who I am,” reaching No. 1 on Billboard’s Christian Hot AC/CHR chart. Thevideo was filmed live in front of 15,000 fans at Winter Jam Spectacular 2015 in Orlando, Florida. The lyrics are an authentic portrayal of who Blanca has become during this new and exciting chapter of her life and career. On September 30 through Oct. 2, Blanca will perform for over 1,000 students grades 6-12 at the IGNITE youth conference in Wildwood. The Relay staff had a chance to speak with her about her upcoming performance. Relay: Are you excited about IGNITE? Blanca: I am SO excited about IGNITE! Relay: Give us a glimpse into what you’ll be sharing during your performance. Blanca: Well, first of all, expect some high energy and fun dancing. I just want to be real, to encourage kids to be themselves and be everything God has made them to be. I felt like I had to try super hard to be accepted and had such a fear of letting my guard down when I was young. These last few years God has brought me through owning who I am and who He’s made me to be. Relay: What’s one song you’ll be performing and what does it mean to you? Blanca: “Who I am” is a song about knowing who we are and who we belong to so we don’t have to be insecure. At the end of the day, we’re His, and we’re fearfully and wonderfully made. Relay: What do you hope both youth and leaders take away from your performance and the IGNITE weekend as whole? Blanca: Aside from owning who they are in Christ, I hope everyone leaves with a fresh understanding of who God is, knowing He is in all the details and how much He truly loves us. I remember being like 16 or 17-years-old with this misconception that God was up in heaven looking down pointing out flaws. I felt like I was a screw up trying and wanting to be perfect, but I really hope these young people leave with a new understanding of God’s love for them and with a new inspiration and fire to seek Him out and what He has in store for their lives. Relay: There’s probably a few youth group leaders on the fence about signing their students up for IGNITE. Why should they step out and take their groups? Blanca: Bring them out for kids like me, who were on a hard journey who needed to have their souls refreshed. I wish I would have had these opportunities when I was younger. The community my church brought into my life made a huge impact on me when I did come to know God. I encourage them to bring their kids and allow them to have an amazing time getting filled up and fired up for what God has for them, especially kids that need that extra push and that need community and time together to really grasp who God is. Relay: What’s in store Blanca’s future? Blanca: Right now I’m working on my second album and I’m ready for the next chapter. I’m taking it one step at a time and I really hope that people continue to be touched by my songs and feel like they can connect. I hope to add a new sense of vulnerability and rawness so listeners can get a glimpse into who I am. I’m going to trust God and ride the waves as long as He has me doing it. Blanca has launched a new social media campaign, the #RealTrueYou challenge, inspiring fans, friends, followers, and other artists to participate. Join her by posting the #RealTrueYou on Facebook, Twitter, and Instagram and be sure your church’s youth group gets a chance to catch her performance at IGNITE 2016 in Wildwood.